Each year DLISc organizes the freshers’ party to welcome the new students. 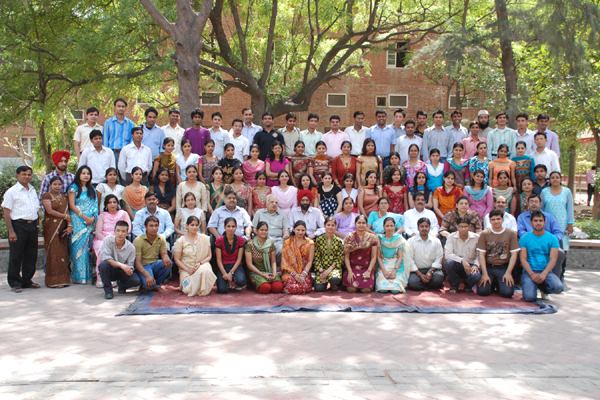 Each year a lot of students (both men & women) from all over the country & abroad come to join in this Department. The main objective behind organizing such freshers’ party is to make the freshers feel comfortable. To give them an opportunity to mix-up with their seniors students and get rid of hesitation they feel in talking to the senior students. Of course, Freshers’ party gives lot of exposure to newly joined students in the department to perform their creativity and talent and get similar experience from their seniors. DULSA organizes different festivals especially Diwali, Holi, Id, Christmas and other festivals... in the Department premises. DLISc organises Farewell party in the department every year. This is the closing celebration of the current academic session.